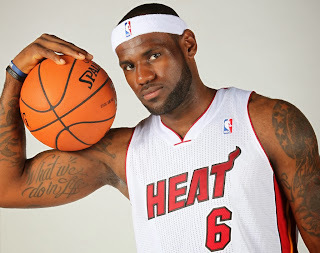 LeBron Raymone James (born December 30, 1984), nicknamed "King James", is an American professional basketball player for the Miami Heat of the National Basketball Association (NBA). Standing at 6 ft 8 in (2.03 m) and weighing in at 250 lb (113 kg), he has played the small forward and power forward positions. 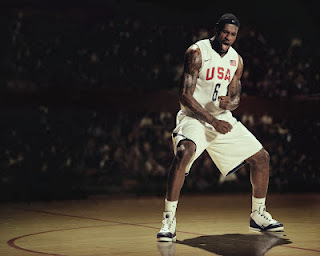 James has won two NBA championships, four NBA Most Valuable Player Awards, two NBA Finals MVP Awards, two Olympic gold medals, an NBA scoring title, and the NBA Rookie of the Year Award. He has also been selected to nine NBA All-Star teams, nine All-NBA teams, and five All-Defensive teams, and is the Cleveland Cavaliers' all-time leading scorer. James played high school basketball at St. Vincent–St. Mary High School in his hometown of Akron, Ohio, where he was highly promoted in the national media as a future NBA superstar. After graduating, he was selected with the first overall pick in the 2003 NBA Draft by the Cavaliers. James led the Cavaliers to the franchise's first NBA Finals appearance in 2007, losing to the San Antonio Spurs in a sweep. 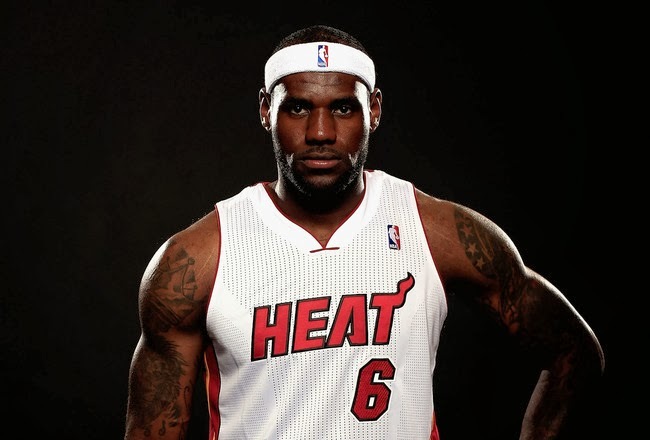 In 2010, he left the Cavaliers for the Heat in a highly publicized free agency period. 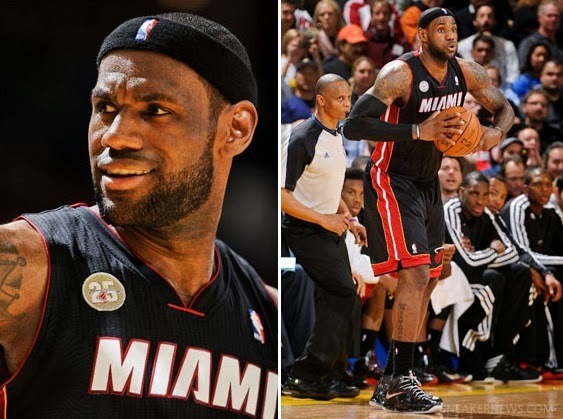 In his first season in Miami, the Heat reached the Finals, but lost to the Dallas Mavericks. James won his first championship in 2012 when Miami defeated the Oklahoma City Thunder, earning the NBA Finals MVP Award for his play. In 2013, the Heat won their second consecutive title and he repeated as Finals MVP. His career achievements and leadership role during Miami's 2012 and 2013 championship runs have led many basketball analysts to consider him the best player in the NBA today. Off the court, James has accumulated considerable wealth and fame as a result of numerous endorsement contracts. James made his debut for the United States national team at the 2004 Olympics in Athens, Greece. U.S. Olympic coach Larry Brown said that James, accustomed to being a star, was not 100% receptive to a reduced role. James spent the Olympics mostly on the bench without quality playing time, averaging 14.6 minutes per game with 5.8 points and 2.6 rebounds per game in eight games.